Ignorance is bliss, but not when you are a landlord trying to manage your rental property. The sooner you know something’s gone amiss, the better chance you have of fixing it before it turns into a disaster. A successful property manager must develop some powers of deduction. You won’t always get straight answers by asking direct questions like, “Are you a drug dealer?” You could even get into trouble for discrimination or harassment. Be aware that not all stereotypes are true, like drug addicts are likely to be shabbily dressed and have low income. More often than you may realize, the affluent tenants may be more likely to be drug users simply because they can easily afford the habit. Crime can strike anywhere, in good or bad neighborhoods. It isnt always easy to spot. The degree or type of crimes is often different from area to area. That’s why it’s important to know the lay of the land. Some common signs to watch for are gang related graffiti, trespassers and loitering (perhaps in an on-site laundry, stairwells or parking lots late at night), and car break-ins around the area. 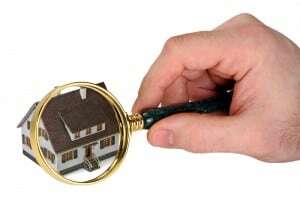 Tenants who are wary of contact with the landlord and try to discourage inspections may be hiding something inside. You want to make sure it isnt your tenants who are committing the crimes reported throughout the neighborhood. It only takes a few bad apples…. The neighbors living in the surrounding area can be your best allies. They have eyes and ears in places you don’t always see. Introduce yourself around the neighborhood. Give out your contact info and let neighbors know you want them to voice any concerns about your property. You might also want to see if there is a neighborhood watch program you can participate in. Many local law enforcement departments offer crime prevention programs that are custom-fit to your neighborhood. Contact your local station, or check out the national Crime Free Multi-Housing Program. Technology can help where humans arent so effective. Enlist the help of cameras at the entrances of buildings, and in parking lots. These are a big deterrent for the thief looking for an easy score, as well as tenants who feel they can get away with crime around the property. If your property is maintained well and has plenty of curb appeal, you are more likely to attract a better tenant. Better tenants, fewer problems. Review your lease and application to make sure they safeguard you from terrible tenants. Include a crime-free property addendum that warns of the risks of breaking the law. Perform regular inspections of the property and each unit. Watch closely for signs of unauthorized guests. Encourage your tenants to keep renters insurance. Take a look at the rent check each month and note any changes from the last one. Keep in touch with your tenants throughout the lease term. Some landlords make the mistake of believing that once the lease is signed, they can sit back and simply collect rent. Problems usually start small, then escalate quickly as tenants learn what they can get away with. Try to build a healthy relationship with your tenants from the start. It’s far easier to keep tabs on tenants when they are not trying to avoid you. Don’t hide behind your defenses. Good communication is more valuable than an aggressive security company that can increase your liability and complicate the problem. Most importantly, don’t neglect screening if you want to keep troubled tenants from ruining your investment.